When actress Gwyneth Paltrow recently admitted that her family does not eat grains, the media got all riled up that she was depriving her children’s brains of vital energy and nutrition (see here)! Critics of gluten-free diets are all over the media warning people that gluten-free diets are less nutritious and that there is no reason to avoid gluten unless you have a diagnosed allergy or celiac disease (like this NY Times article). The concept of gluten-free diets being unhealthy is further supported by scientific journal articles like this one (albeit funded by the Grain Foods Foundation) which espouse on the claimed health benefits of gluten-containing foods. In contrast, more and more people are discovering that they are sensitive to gluten, that avoiding gluten helps them lose weight, or that they just plain old feel healthier without it. 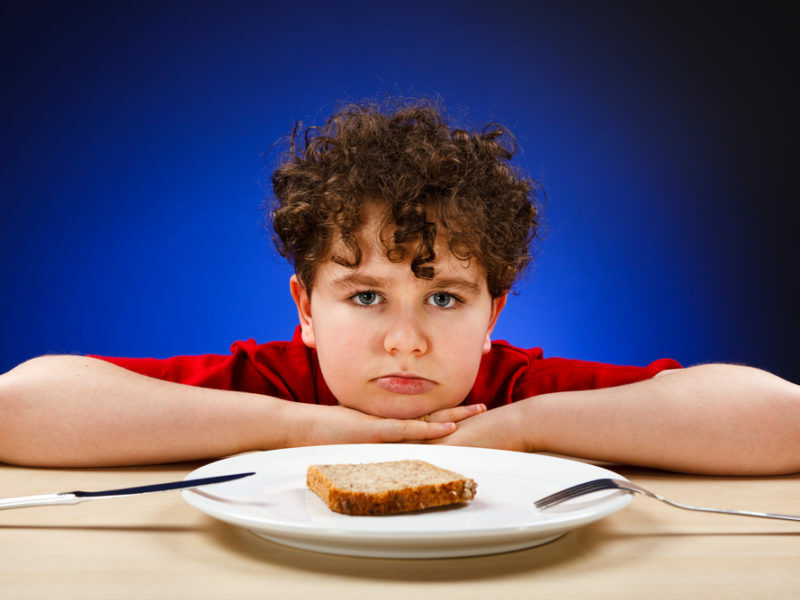 More and more parents are discovering that gluten-free (or gluten-free casein-free, or grain-free, or Paleo/primal) diets address a variety of nebulous health issues in their kids, such as sleep disturbances, digestive symptoms, and behavioral problems. Admittedly, I am one of these people. My oldest daughter was on miralax supplements for chronic constipation for 2 years before we went gluten-free. Within a month of saying adios to gluten, she was completely off miralax and hasn’t had issues since. Oh yeah, and she finally started sleeping through the night. My family didn’t even give up gluten for her. It was my youngest daughter’s obstructive sleep apnea due to inflammation in her larynx that was not responding to high doses of proton pump inhibitors (coupled with my own newfound enthusiasm for the Paleo diet) that drove us to make the switch. It made a huge difference in my youngest daughter too (who we since have figured out is also sensitive to dairy, tomatoes and strawberries). In fact, it’s the only hard and fast food rule in our house: no gluten. Ever. Are gluten-free diets just the latest fad? Why is “going gluten-free” becoming so popular? I believe that it’s because so many of us are finding out that we’re healthier without gluten, that our kids are healthier without gluten, that our babies fuss less when their nursing mothers avoid gluten. We tell our friends. They try gluten-free. They find out that they’re better off too. Books like Wheat Belly by Dr. William Davis help explain why and encourage more people to take the plunge. Gluten-sensitivity is becoming better understood as its own health condition, separate from celiac disease. 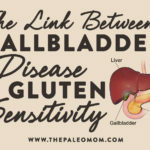 However, one of the major limitations, both for scientists trying to define gluten-sensitivity and for doctors trying to diagnose it, is that currently available diagnostic tests are limited in what they can tell you about how your body reacts (or doesn’t) to gluten. A biopsy and/or blood test can tell you whether or not you have celiac disease (provided you’ve been eating gluten for the last month). Blood tests can tell you if you have an allergy to wheat or if your body produces IgG or IgA antibodies against proteins in wheat (which is testing for a food intolerance). Many healthcare professionals will run these tests and, if they all come back negative, will advise that there is no good reason for you or your child to give up gluten. However, there are many ways that you can be sensitive to gluten or other proteins in wheat for which there just aren’t methods to test for. Studies show that even in the absence of diagnosed gluten-sensitivity, removing gluten from the diet can be beneficial. For example, patients with Irritable Bowel Syndrome find substantial improvements with gluten-free diets. The only way to know for sure whether you or your child are gluten-sensitive is to cut it out for a few weeks and see if you or they feel better. Then, try adding it back in and see if you feel worse. And while your doctor may be skeptical, most healthcare professionals agree that if you eliminate gluten from your diet and feel better, then that amounts to a positive diagnosis for gluten sensitivity. But, what about healthy people? What about healthy kids? Kids are growing and their brains are developing. Is it safe to put a kid on a gluten-free diet if they don’t have a health problem that is improved by going gluten-free? If one member of a family needs to be gluten-free, is it safe for the entire family to eat the same way? Is gluten-free a nutritious diet? Will depriving your child of grains really deprive their developing brains of essential nutrients? Certainly, when you compare the nutrition facts of a commercial bread with a commercial gluten-free bread, there are some differences. And there is also a great deal of variability in the nutrient content of different gluten-free breads, partly due to the fact that only some companies add vitamins (analogous to the iron and B-vitamins added to wheat flour to create “enriched wheat flour”) whereas others do not, and partly due to the fact that different gluten-free flours inherently offer different nutrient value. The most common arguments against gluten-free baked goods is that they contain less fiber, less iron and less B-vitamins than their wheat-based counterparts. This argument is supported by studies such as this one that show that the most common nutrient deficiencies in celiac disease patients following long-term gluten-free diets are fiber and the B-vitamins folate, niacin, and B12. As you can see from the nutrition facts comparison of three different commercially-available multigrain breads, this is a valid criticism of some gluten-free products; but certainly not all. 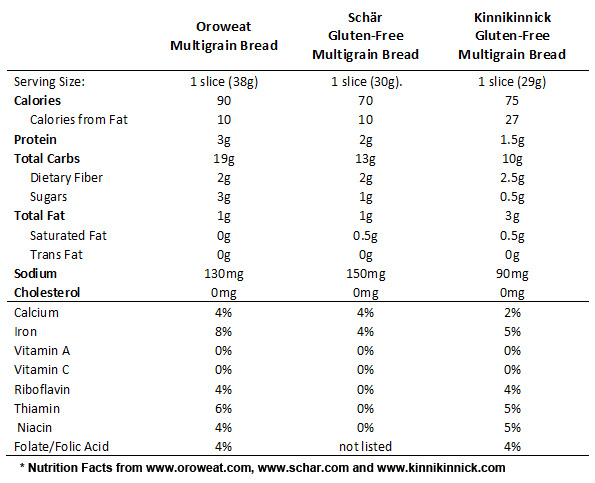 In fact, some gluten-free products (like the Kinnikinnick multigrain bread in the example above) are superior in terms of fiber and B-vitamins to their wheat-based counterparts. But, do people following gluten-free diets replace one for one every gluten-containing food with a commercially-produced gluten-free version? I would argue that the majority of people following gluten-free diets tend to replace at least a portion of the bread, pasta, muffins and cookies that they ate before going gluten-free with other foods, often much more nutrient-dense foods such as vegetables, fruits, meat, seafood, eggs, nuts and dairy products. The scientific evidence backs this up. A recent study evaluating the nutrient intake of children with celiac disease compared to their healthy non-gluten-sensitive counterparts found that children with celiac disease actually consumed more calcium, vitamin B6, vitamin B12 and substantially more zinc than those children who included gluten in their diets. And, while the children with celiac disease did consume substantially less dietary vitamin D, this is the vitamin that our bodies make in response to sunlight. An additional recent study evaluated an even wider range of vitamins and minerals (this time in Australian adult celiac disease patients and compared to the general public) and found that patients with celiac disease following gluten-free diets actually consumed more calcium, magnesium, phosphate, zinc, folate, and vitamin C while the other vitamins and minerals as well as fiber were equivalent. So, does that mean gluten-free is actually healthier? The people included in these studies did consume more of some key nutrients, but they were also still deficient in several nutrients compared to the recommended daily allowance (RDA). Actually, a large percentage of people are deficient in many key nutrients, regardless of whether gluten is present in their diets. This study, for example, shows that 39.1% of people aged 2 years and older are routinely not consuming the RDA of iron, 33.2% are not meeting the RDA of folate, 25.9% of people are not meeting the RDA of niacin, and 17.2% are not meeting the RDA of vitamin B12. 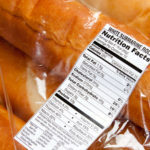 So, if patients with celiac disease are deficient in these nutrients, is it the fact that they are gluten-free or the fact that our grocery stores are filled with highly processed foods with little redeeming nutritional features regardless of gluten content? If you look at the wheat-based multigrain bread nutrition facts above, you’ll note that it’s not especially teeming with vitamins and minerals. Let’s be clear. Gluten is not a nutrient. It is a very difficult to digest protein found in wheat, rye and barley which causes health issues for many people. Going gluten-free does not mean that you are cutting a vital nutrient out of your diet. And a gluten-free diet is not inherently unhealthy. But going gluten-free doesn’t automatically mean that you are eating a more nutrient-dense diet either. It matters what you replace those wheat-based bagels and pasta with. It’s not about what you’re not eating. It’s about what you do eat. Grains in general are not nutritional powerhouses (contrary to what clever marketing may tell you). Even the healthiest whole grains can’t compete with vegetables in terms of vitamin and mineral content. 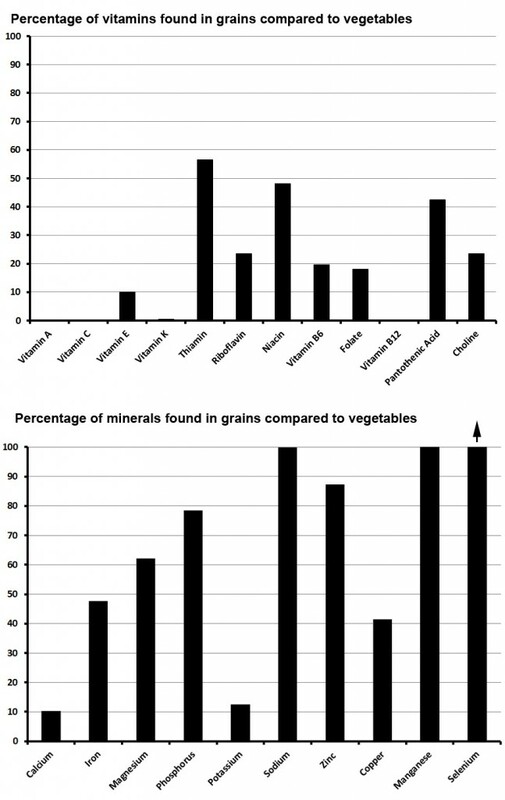 The graph below shows the relative quantities of essential vitamins and minerals (so setting vegetables to 100% and expressing the amount in nutrition in grains as a percentage of what is found in vegetables), calculated from the average of eight entirely wholegrain, unprocessed foods compared to an average of 30 commonly-found vegetables. When compared to vegetables, calorie for calorie, vegetables contain double or more of every single vitamin (although both vegetables and grains are not high in vitamin D, with the exception of mushrooms). When compared to vegetables, calorie for calorie, vegetables are higher in most essential minerals (they are about equal to vegetables in sodium and manganese and grains do contain substantially more selenium, although selenium is even more richly found in nuts, seafood, meat, poultry and eggs). Oh, and vegetables and fruit are outstanding sources of fiber, about equal to grains. So, if a vegetable side dish or even a piece of fruit replaces a dinner roll on with your meal, you get equal amount of fiber and far more vitamins and minerals. 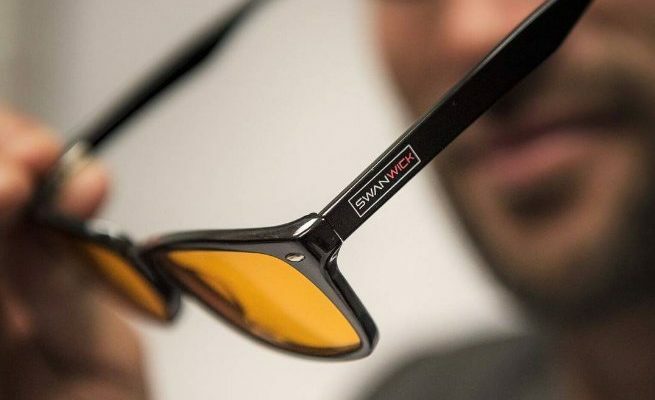 So, what about Gweneth Paltrow? Is she really depriving her children’s brains of vital nutrition? The two main criticisms of her are that her children may not get enough fiber and that her children’s brains need carbohydrates to function. Clearly, vegetables and fruit provide plenty of fiber as well as carbohydrates. Plus, vegetables and fruit provide far more of the vitamins and minerals that her children need to be healthy compared to grains. And what about that scientific journal article espousing the benefits of wheat-based foods? Their chief argument is that grains contain fiber and that high fiber diets are associated with decreased risk of chronic diseases such as cardiovascular disease, obesity and type 2 diabetes. Absolutely, eating fiber is important, but vegetables and fruit provide plenty of it. Even many commercially-available gluten-free products contain as much if not more fiber than their wheat-based counterparts. The propaganda against gluten-free diets has one important effect. If you keep hearing that gluten-free is less nutritious, or that it may even be unsafe for your child, how likely are you to try a gluten-free diet for your child? As parents, we want the best for our children and we care about their growing bodies and developing brains. Is gluten-free (or, like Gweneth Paltrow, grain-free) best for you and your family? You won’t know until you try it. Do you need to worry about a gluten-free diet being less nutritious? That depends on how you implement a gluten-free diet in your home and what foods substitute for gluten-containing foods on your plate. Remember: it’s about what you do eat (not what you don’t). Great blog! 🙂 I have discovered through trial and error, and by word-of-mouth from people who have figured out by trial and error, that gluten is NOT a friend to my body. I struggle with eliminating it altogether, but it’s no mistake that on Day 5 of eliminating grains and sugar (aside from natural low-sugar fruits) I am feeling much less joint pain, and i have (finally!) slept through the night peacefully 3 nights in a row. I have not brought my kids over to the gluten free side, mostly on account of the high cost of fresh fruits & veggies this time of the year, not to mention the gluten free bread products, but we’re working on it in bits & pieces. Thanks for the great post. I have spend the last 2+ months transitioning my kids to gluten-free – we are working at it slowly by surely, and are now 100% there with our “home-based” foods and now just need to eliminate a few occasional out of the house foods and what’s eaten at Grandma’s house ;-p I was sure that by now I would see some improvements in behaviour issues, but I actually am worried that they are getting worse. My kids are currently eating a fair bit of corn (organic, GMO-free where possible) – I am hoping this is temporary as we move closer to grain-free, but it’s a staple at the moment. 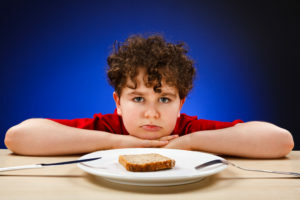 I am suspicious of sensitivity in at least one kid – I eliminated corn from my oldest’s diet when he was a toddler because I noticed a link between sleep issues and corn, but haven’t noticed it as a problem as he’s grown older. If you have any info on corn issues, specifically as it relates to neurology/behaviour, I would love to see that. Corn has been shown to be very problematic for celiacs because a protein in corn is so similar to gluten. That might be what’s going on in your kids. Well Done Paleo Mom! Fair and Balanced and for once Sensible. We are 90% GF/low glycemic in our house. And what isn’t GF is non-GMO like Einkorn wheat ( we have a toddler that likes her cheddar bunnies and “noodles” cold –Einkorn is sturdy enough for cold). It is really not hard with the availability of quinoa and buckwheat, brown rice, almond and coconut flour. I find it interesting, though, we are in the “minority” (despite our urban location) with this mindset/goal. Lucky for us, we are pregnant with out second child and our OB just happens to be switching her family to GF for health reasons, too. She totally gets what we are doing with full fat milk and no wheat. Now it’s our pediatrician we have to “dance around” at that 2 year wellness checkup. I would love some advice please !! I have been gluten free and sugar free for 5 months!! I haven’t ever looked or felt like this!! However, since I began I am constantly bloated, extremely gassy, and always constipated!!! I drink tons of water, eat lots of fiber rich foods, and have replaced the wheat with many nutrient rich foods. Would live any suggestions pls!!!! My family can’t even be around me!! Sorry I know TMI but need advice!!! I would suggest two avenues of exploration. First is supporting digestion through supplements (plant enzymes, pancreatic enzymes, ox bile, and maybe Betaine HCl) in addition to “meal hygiene” (relax, chew thoroughly, don’t drink very much with meals [drink between meals instead], reduce caffeine and alcohol), and working on increasing sleep and managing stress (all of these things support digestion). The second is keeping a food journal to see if there’s a link between high FODMAP foods and your symptoms (or doing a 2-week low FODMAP trial). Also getting a Squatty Potty or similar stool can be very helpful as can magnesium supplements (something like Natural Calm). Wow! I have been researching Paleo because I will be starting right after Christmas. Then I read you had a kid on Miralax for two years and my mind was blown. My son(9) has been on Miralax since he was three! We eat healthy but we are not what I would think would be “gluten free”. Looks like I need to talk to the wife about us all going Paleo. Thanks PaleoMom! My daughter was off of miralax within a month (we weaned her off) of going gluten-free, even before we were full Paleo. Made a HUGE difference. Well it has definitely made a HUGE difference in my 4 year old, and now I’m finding for myself too. We won’t be going back to gluten. Since this is an older post, I want to add another book (in addition to Wheat Belly) to everyone’s reading list: Grain Brain by Dr. David Perlmutter. 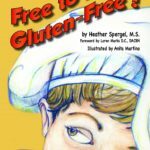 *Excellent* exposé on what gluten could be doing “behind the scenes” whether you have any symptoms or not! 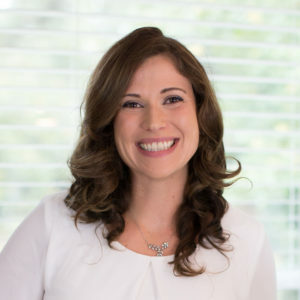 Also want to ask Sarah: are you familiar with abdominal migraines in children? My cousin’s 7 year old is in the hospital right now with his first one. It has taken days to even get to that diagnosis. And what is the hospital feeding him? BAGELS and (commercial) yogurt. My hunch is that going gluten (and possibly dairy) free could really help this child (who already has a peanut allergy) to avoid needing meds long term. Sounds aweful! I have never even heard of abdominal migraines. I know for regular migraines that high omega-3 intake and moderating sugar/fructose intake can make a huge difference (in addition to avoiding food sensitivities, gluten being a very common culprit), but I have no idea if that would apply to abdominal migraines (I’m assuming it’s also a rapid dilation of blood vessels?). I hope your little cousin is on the mend soon! I had never heard of them either! From what little I can find about it, abdominal migraines happen in about 5% of kids, usually in the 7-10 age range. After puberty, these same kids transition away from the abdominal form to the regular headache form. There is also usually a family history of migraines. When an abdominal migraine hits, it lasts 3-5 days and the pain is cyclical (on again/off again). The pain is so intense they have had to give him small doses of morphine! Also, during an attack his blood pressure goes quite high, so perhaps that is his body trying to constrict the blood vessels to overcome the rapid dilation you mentioned? The meds of choice are triptans that increase serotonin, thus increasing the pain threshold. From my point of view, it’s another fascinating example of the gut-brain connection and I can’t help but think that diet would somehow be influential in avoiding future attacks. 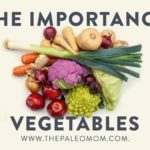 What a fantastic article Paleo Mom. Its a great balanced argument. I myself am Paleo by choice and recently was suggested that my son should go GF. Years ago I was tested for celiac, but as you mention tests are not accurate for those of us suffering an intolerance or sensitivity. I made the change to GF and the benefits were clear. I did however still suffer with bowel issues. Having since taken the next step to Paleo, and consuming more veggies, fruit and nuts, these issues are no longer a concern. My kids already were eating mostly what I did so the GF transition was very minimal and there have been some benefits so far, but they continue to be very active, healthy kids, full of energy and who appreciate ‘real’ food. Their friends are curious and try the ‘new’ foods too…and with the increasing obesity issues this is a very positive thing. Is there any argument in favour of allowing a healthy toddler to have some gluten and dairy now so that they can build up a tolerance to it and to avoid reacting badly when they inevitably come into contact with either later in life (through choice or inadvertantly)? Some background: My sister is not Paleo but is considering the science behind it all (she is a medical professional so is looking to the data to convince her). She has seen my change for the better but the way I now react to certain things (that I used to have alot!) concerns her. Her daughter is 2 years old. She wants to feed her the best to optimise her health but it concerned that cutting out dairy and gluten may cause her to be more reactive to these things in the future. Her hypothesis may be based on the “let the kids play in the dirt so they get exposed to germs” view. I have looked at the part of your book that touches on this subject but i wasn’t able to answer this question specifically. If you are able to respond – please feel free to go hard on the science! My sis will love that! Thanks for the insight. I’m embarking on The Paleo Approach in response to alopecia areata and chronic migraines, and in light of a *very strong* family history of autoimmune disease, I’m considering eventually aiming for gluten-free with my kids. I’m wondering, though, if going gluten-free can result in gluten intolerance for people for whom gluten previously caused no symptoms. My family members with celiac when gluten free and then discovered that any amount of gluten was far more problematic to them than it ever seemed to be previously, and I understand from your book The Paleo Approach that cheating on the diet may in fact cause quiet a symptomatic upset. I wonder if my kids go gluten free or Paleo for months or years, when they’re currently asymptomatic, if I’m setting them up to be physically unable to splurge for a cupcake without feeling ill.
Jennifer, here’s my take on your question, based on my own experience. I ate gluten for 42 years thinking I had “no problem with it.” When our 3 year old needed a GF diet, I started cooking that way at home for all of us (because it’s just easier to make one meal) but I would still eat gluten when I’d go out to eat. Over 6 months or so, I started noticing how AWFUL I felt after eating out. So then I stopped eating gluten too. Now it’s been a year of no gluten. When I am accidentally exposed to a little, I can tell right away. The obvious effects linger for 1-2 days, but I know there are unseen effects that linger for months. Now, contrast that with my mom (age 70). She sees what I am doing and decides to try gluten free to see if it helps any of her health concerns. She ate no gluten for about 2 months. She didn’t notice any differences or improvements. She started eating gluten again and didn’t notice any problems with reintroducing it either. So my answer would be: what you’re suggesting might happen WILL happen IF that particular child is gluten sensitive/intolerant. And you can be sensitive/intolerant for a long time while thinking you are asymptomatic. (I always blamed my bloating and constantly changing pants size on hormones. Nope!) But if that does happen, then that child needs to stay GF for optimum health anyway – cupcake splurges should not be an option (although, as an aside, there are plenty of great ways to make gluten or even totally grain free cupcakes!). For those who aren’t sensitive/intolerant, then I think it will be more like my mom’s experience where they can eat it sometimes and not have a problem. Hope this helps! Regular doctors can’t easily determine a gluten sensitivity because they don’t want to. Why would they want you to stop coming in to see them for constipation, colds, etc., then they couldn’t prescribe prescriptions. Truth is if everyone adjusted their diet to their own intolerance, many diseases and illness would be gone! It took me years to get my son diagnosed. After many failed blood draws, scratch tests, steroid creams, failed prescriptions & countless doctor appointments, all I had to do was send in a sample of hair to a company in the UK to determine his intolerances. The company is called “the intolerance testing group” $100.00 will give you peace of mind and your health back! I have since helped many other people who have been in the dark for years as to what was making them sick. It is outrageous that we have to go outside the U.S. to find resolve. They base their findings on your DNA, hello?! Wow that makes sense!!! Instead of an invasive blood draw that can only determine celiac if you repoison your body. The FDA should be ashamed of themselves for not approving this type of testing because big pharmaceutical companies have paid them off!!!!! My son has not been sick since I changed his diet, in contrast to always being sick before I knew what his intolerances were! Woah! Hold the phone! You say, “A biopsy and/or blood test can tell you whether or not you have celiac disease (provided you’ve been eating gluten for the last month).” You’re telling me that when I went Paleo, felt amazing, then got the gluten-reactivity blood test my results may not have been accurate? How does that work? Can you please elaborate on your charts? Do the columns represent the percent found in grain or the percent found in vegetable? And which grains and vegetables were these numbers taken from? As they are presented I do not see any comparison. This is such an awesome post!!! 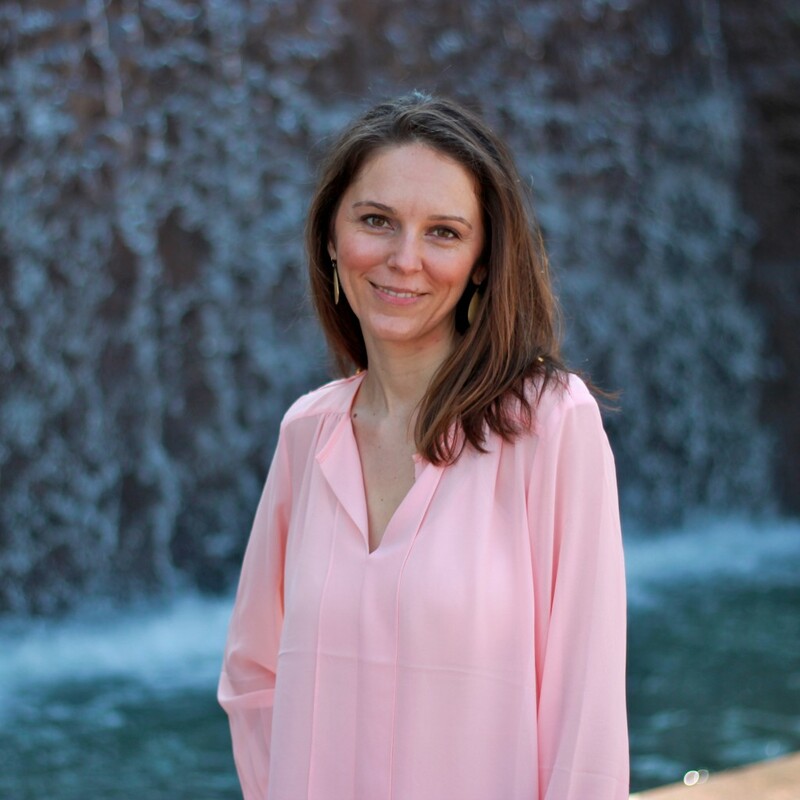 I raised my kids sugar free and stayed away from processed food as much as possible, but I missed the boat on gluten. If I could go back we would have been a grain free family as well. Sarah, I cannot tell you loudly enough how much I appreciate your posts! I first found you through recipes as I explored low-carb cooking for my husband (he was on Atkins Diet), some years ago. Later I went gluten-free, then grain-free, then Paleo, and then I began exploring thyroid & autoimmune issues and nutrient quality. Your statement “it’s not about what you DON’T eat, it’s about what you DO eat!” is perfect, just perfect! As a biological researcher myself (way different kind), and a person who loves details, I trust your approach, your information, and your peer reviewed resources- and I find myself searching your posts when I have a question. I’m so glad you’ve teamed up with others I consider credible, like Dr. Perlmutter! So thank you, thank you, for being out there! Aw, thank you so much for your support! Hi! I wanted to ask for some advise re: Paleo. I’ve been Paleo for years (I occasionally fall off the wagon but I never eat gluten, I have been gluten-free for over 20 years). 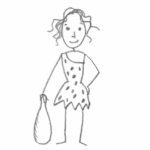 I have a 3 year old daughter who has always been Paleo, and was breastfed until 33 months. I’m worried what if she has gluten or peanut allergy and we don’t even know about it, as she’s never been exposed to these foods. 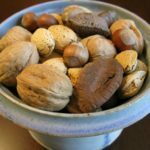 I was just reading an article about exposing Paleo children to peanuts and gluten (https://Paleoleap.com/early-exposure-and-food-allergies/) just so they don’t develop an allergy in case they come into contact with these foods say, in a restaurant, or – despite our best efforts – they decide that they want to eat them when they are older. However, this article talks about exposure when they are babies, in order to prevent allergies, and we clearly missed this boat… What would you recommend? Thank you! My 6 year old daughter has had chronic constipation since age 4, and has been on Miralax daily for two years. I have had hypothyroid, diagnosed at age 18. I barely ordered my own thyroid antibodies tests last month and for the first time confirmed that I have Hashimoto’s. I then started an AIP paleo diet and switched from Synthroid to NDT and have been feeling a million times better. I so wish there had been more knowledge about all this autoimmune stuff when I was a kid (and young adult!) so that I could have avoided all the hypo symptoms and just felt physically and mentally healthy! Which brings me back to my daughter: I decided that with my greater knowledge I wanted to make her health endure more consistently than mine did. So yesterday I asked her pediatrician to order some thyroid labs and I was delighted that he immediately agreed to! We had her free T3, free T4, TSH, and anti TPO and anti TgAb run. Her TPO was 16.8 and her TgAb was 174! I’m not sure if the lab used a kid specific ranges, but these are her other results: TSH: 3.29 range 0.5- 5.0, Free T3: 3.8 range 2.8-4.4, and Free T4: 0.99 range 0.74-1.56. So I want to support her health by transitioning her diet to a more AIP type, and may do it incrementally with gluten going first (which it sounds like may help her constipation too! yes!). Is there anything else you would recommend we do to help her with what appear to be suboptimal T3, T4 and TSH? Or any other testing that could help me know additional ways to help her health? Going AIP (or at least Paleo) is probably a great place to start. And I don’t know if she has any kid-specific info, but I’d check out https://thyroidpharmacist.com/ for thyroid health information. Isabella is incredibly knowledgable.